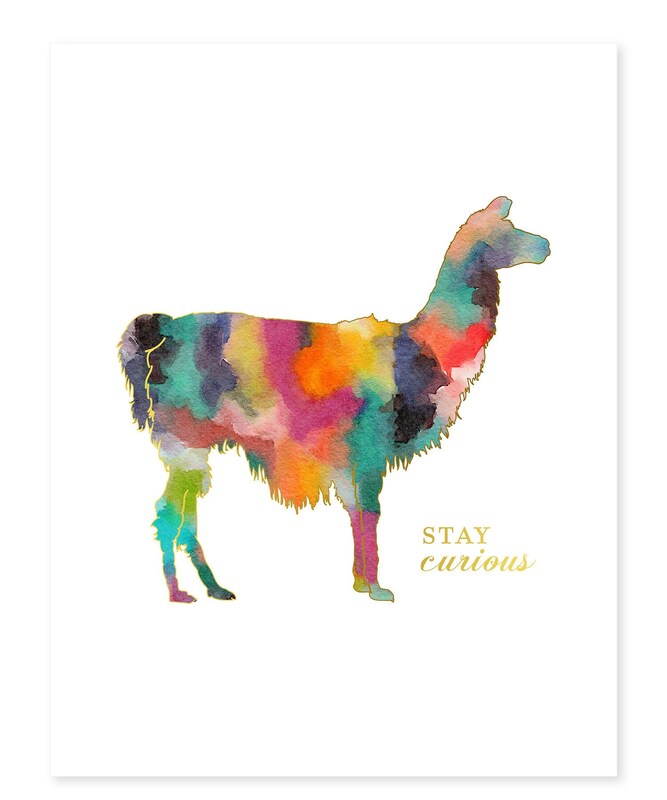 Llama decor for your nursery dorm or anywhere. 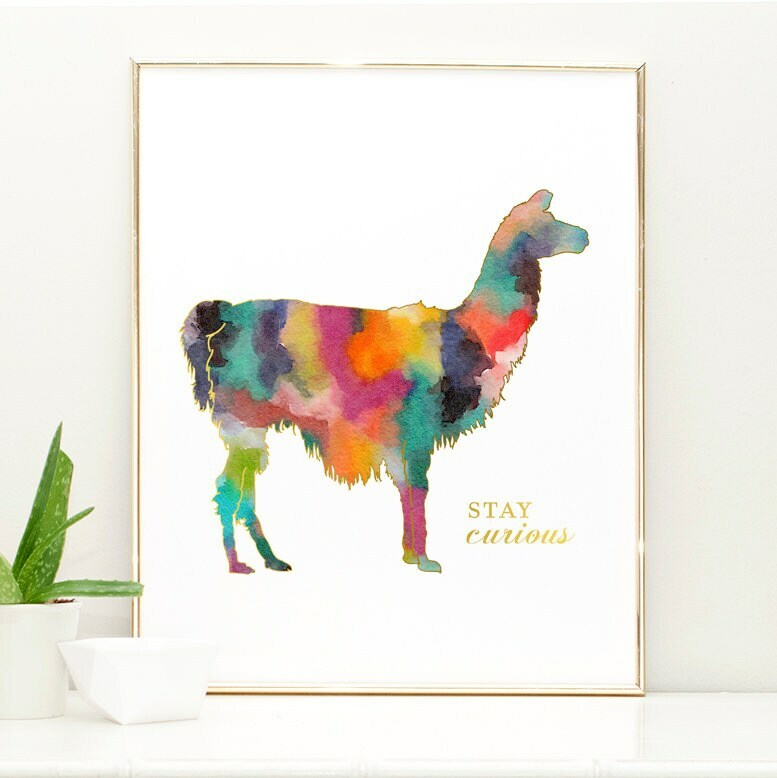 This abstract print of a llama has a fun mix of watercolors that can match any decor. 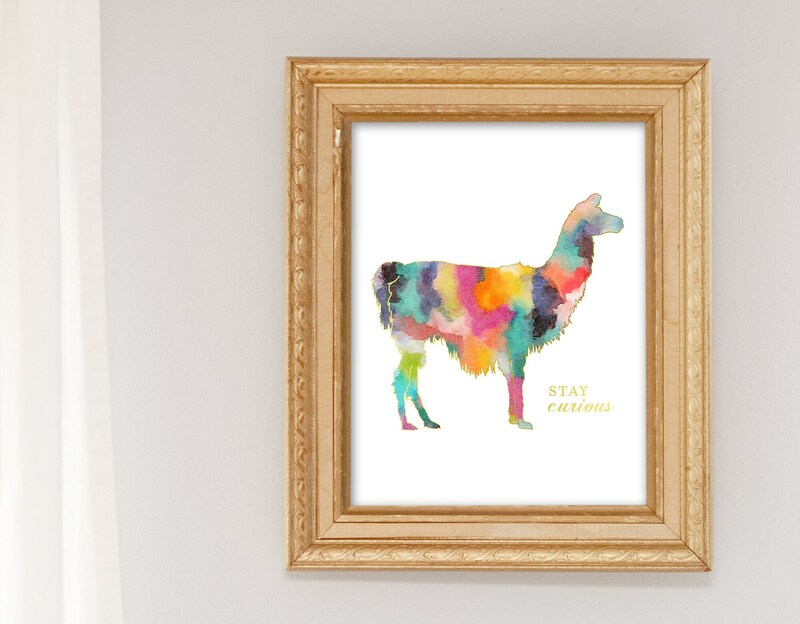 It will make a fun addition to your baby girl or boy's nursery decor.